One reason why So Many Aircraft was started was to provide reference material for scale modelers. Here you can find various information about modeling, including scale plans, artwork for custom decals, etc. Occasional writings about model projects, under the heading "Adventures in Plastic Surgery" can be found here. We are in the process of adding descriptions of older projects. Here are some projects we are currently working on. For most of these, we are still collecting information and doing research; they are all in 1/72nd scale. 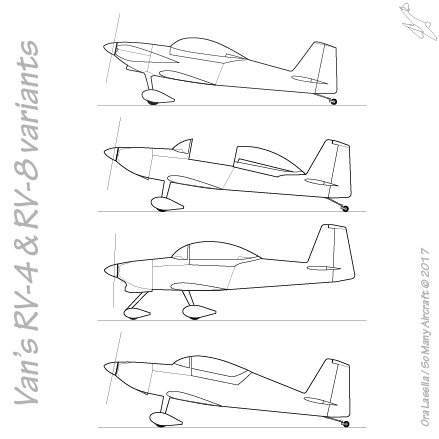 "Homebuilts": Van's RV-4 and RV-8, Bowers Fly-Baby, Pietenpol Air Camper - currently scratch-building some of these in 1/72nd scale. Bell P-39Q Airacobra "Cobra II", Tex Johnson's Thompson Trophy winner; currently building from the Academy 1/72nd scale kit. Some of these may also become future books.